What Can We Do? Immigration Summit for Cultural Organizations. 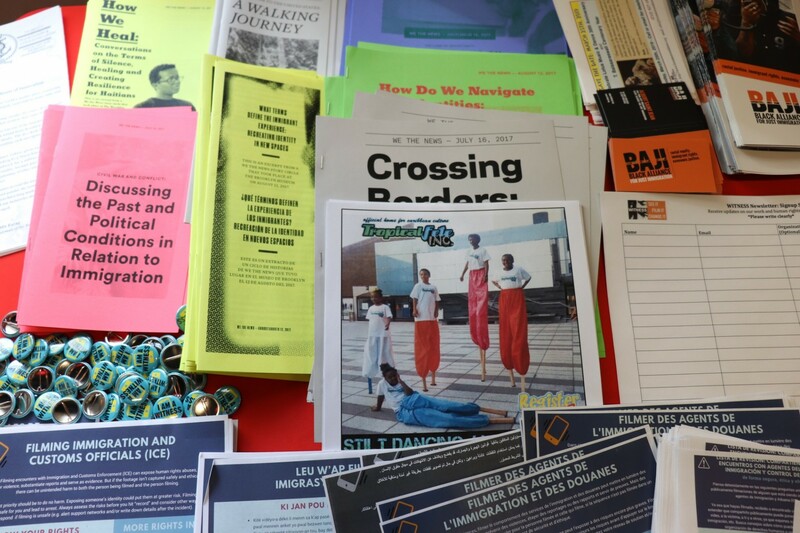 Together with the NYC Department of Cultural Affairs (DCLA), the Mayor’s Office of Immigrant Affairs (MOIA) and Artspace Sanctuary, No Longer Empty organized “What Can We Do? 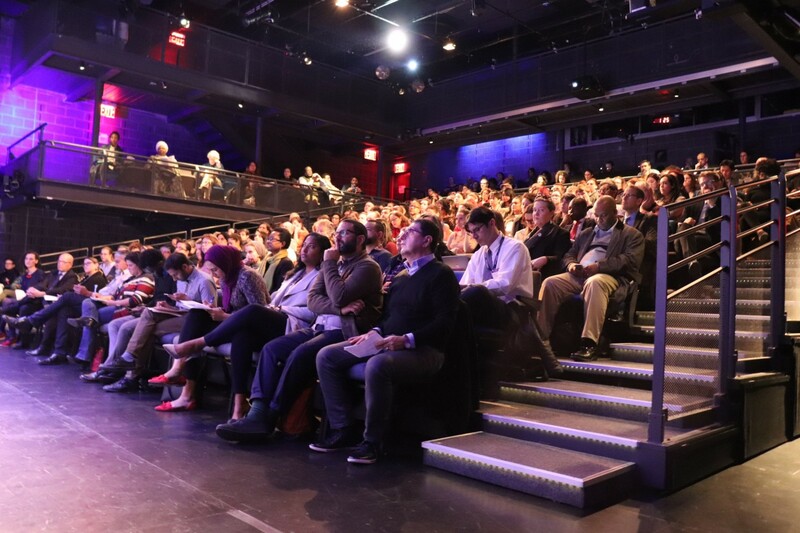 Immigration Summit for Cultural Organizations.” The Summit convened more than 250 arts professionals at BRIC on October 31. 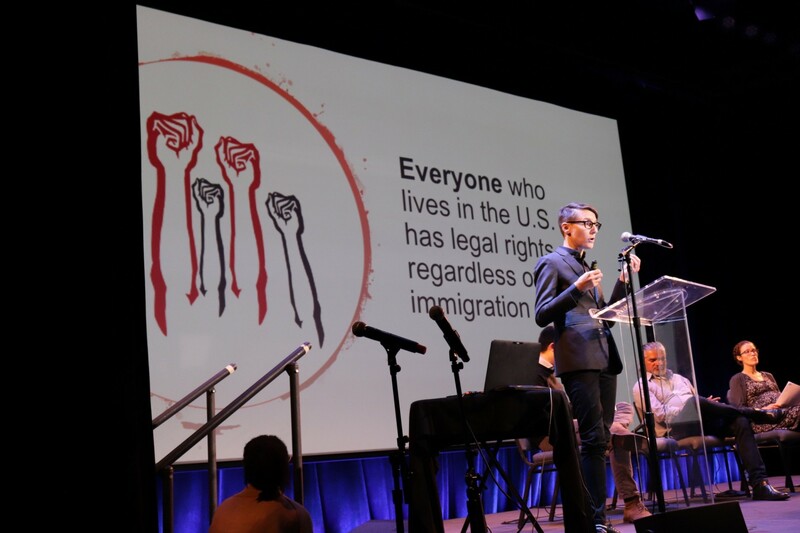 2018 around what arts organizations can do to protect and serve migrant communities. How can we create safe, welcoming spaces for immigrant communities through cultural programming? In what ways can cultural organizations advance narrative, cultural, and policy shifts around immigration? Speakers: Guido Garaycochea, Queens Museum; Mino Laura, Founding Executive Director of The People’s Theatre Project; Ben Ndugga-Kabuye, Black Alliance for Just Immigration; and Hatuey Ramos-Fermin, The Laundromat Project. Learn more about City programs and services available to immigrant New Yorkers, regardless of status; guidance to nonprofits regarding immigration enforcement and impacts to 501(c)(3) status; and legal frameworks and strategies for creating safe spaces. IDNYC is an identification card for all New York City residents age 10 and above—regardless of immigration status. Free for calendar year 2018 and valid for 5 years.